The Diplomat‘s editors wrap up the top trends and stories from 2013 ahead of the New Year. As we bring 2013 to a conclusion, The Diplomat‘s editors took a look at the biggest stories from the past year. 2013 was certainly an exciting year for political, economic, cultural, and security developments across the Asia-Pacific and several trends that began this year will continue into 2014. Territorial disputes continued to dominate the strategic landscape of Asia in 2013. Many of these centered on China. 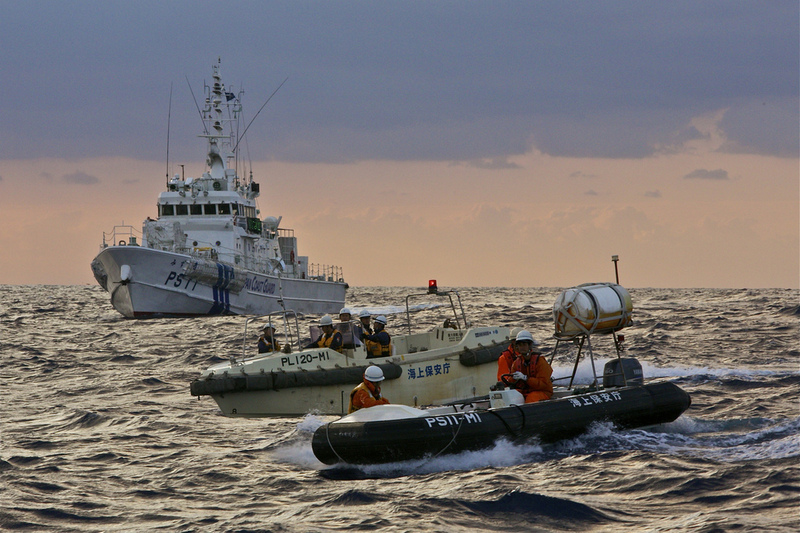 Although Beijing continued maneuvering in the South China Sea, the region’s focus shifted to China standoff with Japan over the Diaoyu/Senkaku Islands. The situation continued to escalate throughout the year, before culminating in China announcing an East China Sea Air Defense Identification Zone (ADIZ) in November. Besides its maritime disputes, the Sino-Indo border dispute also escalated when PLA troops set up camp inside India on a number of occasions. Besides its dispute with China in the East China Sea, Japan continued to be involved in disputes with South Korea and Russia. Along with history, the Japanese-Korean dispute over the Dokdo/Takeshima Islands helped perpetuate the two countries’ estrangement. Meanwhile, Prime Minister Shinzo Abe and Russian President Vladimir Putin vowed to quickly resolve their countries’ outstanding disputes over the Kuril Islands. 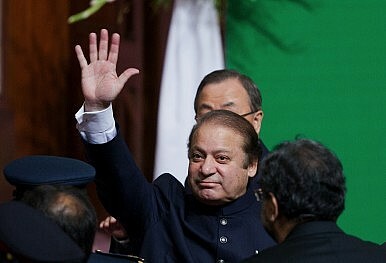 As always, tensions mounted over Kashmir at various times, although India and Pakistan ended the year on a high note. Whether this continues in 2014 will depend in no small part on whether Narendra Modi is elected as India’s next prime minister. Meanwhile, tensions over Afghanistan and Pakistan’s disputed borders rose throughout 2013, and are likely to do so again next year. No question: 2013 was a big year for China watchers. Many had high hopes that the new Xi Jinping and Li Keqiang leadership would begin instituting long-awaited economic reforms. While most predicted it would take Xi and Li a year or two to settle into power, they seem to have hit the ground running in terms of economic reform. Li Keqiang supposedly fought political opposition to push through the new Shanghai Free Trade Zone, which experiments with opening China’s financial sector to foreign investment. The much-anticipated Third Plenum in November kept the momentum going, promising to loosen the one child-policy, open the banking sector, and reform China’s pension system. Towards the end of the year, a Party meeting set China’s priorities for 2014, including reducing excess industrial capacity and controlling local debt. Beijing is determined to continue the process of reform, but only as long as underlying economic growth continues at an acceptable pace. Progress on political reforms has been far slower (and more disappointing, from a Western perspective). There have been some positive signs. 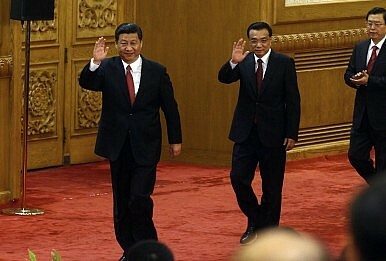 Xi has instituted a major anti-corruption crackdown designed to increase the Party’s legitimacy. Far from being window-dressing, the campaign is rumored to have ensnared Zhou Yongkang, the former Minister of Public Security and Politburo member. At the Third Plenum, the Party also promised to scrap the reeducation through labor system and overturn the practice of extorting confessions through torture. On the flip side, however, Xi has overseen a massive crackdown on social media users, in the name of fighting online rumors. Couple that with the arrest and imprisonment of China’s pro-constitutionalism advocates, and Xi seems to have taken meaningful political reform off the table. Environmental concerns plagued the Asia-Pacific in 2013, with both man-made crises and natural disasters wreaking havoc on the region. Over the summer, much of ASEAN was blanketed by dense haze, a result of deliberately-set fires in Indonesia and Malaysia. Charges were brought against several plantations that contributed to the worst pollution to hit the region in 16 years. 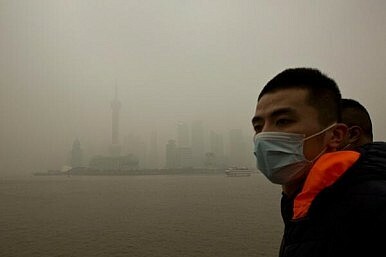 In China, public outrage over deadly industrial smog forced the government to approve the $277 billion Airborne Pollution Prevention and Control Action Plan. State media came under fire for touting the PM 2.5 air pollution as a “defensive advantage.” A massive 7.7-magnitude earthquake shook Pakistan’s Balochistan region in September, killing more than 800 people. Just last month, Super typhoon Haiyan (Yolanda) – one of the strongest storm surges to ever reach land – laid waste to the central Philippines. The death toll has risen to more than 6,000, while nearly 2,000 remain missing. Manila was sharply criticized for its slow response while local officials – and the military – appeared to be unprepared to deal with a large-scale disaster. Massive anti-government protestors brought Bangkok to a standstill toward the end of 2013. Triggered in large part by a controversial amnesty bill that would have given immunity to Prime Minister Yingluck Shinawatra’s brother-in-exile Thaksin, Yellow Shirt demonstrators took to the streets demanding her resignation. 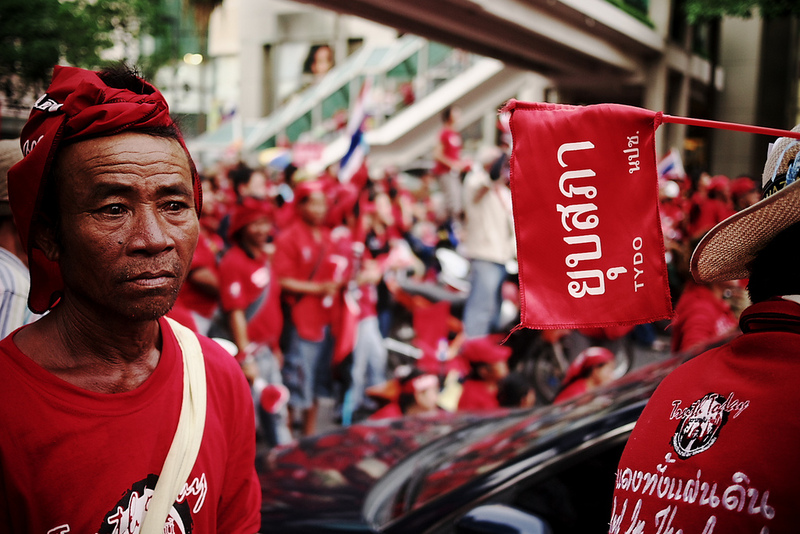 Despite counter demonstrations by pro-Thaksin Red Shirts, the amnesty bill failed and Yingluck announced the dissolution of Parliament on December 8. Though the prime minister called for snap elections in February, the Yellow Shirts – convinced that Yingluck is simply acting as a proxy for her exiled brother – attempted to block politicians from registering for the vote. They have promised to continue rallying until the Shinawatra family is entirely removed from national politics. A police officer was killed in the post-Christmas clashes between protestors and security forces. Since its inception, the Thai unrest has left five dead and hundreds injured. The government-appointed election commission is considering postponing the February 2nd election in light of recent violence – a sign that Thailand’s political turmoil may go unresolved well into 2014. Certainly, the Japanese economy needs reform. Everyone agrees on that. Is Abenomics it? “Japan is back,” Prime Minister Shinzo Abe announced (very prematurely) at the start of 2013. But how much of his Abenomics is smoke and mirrors? One of the fabled three arrows, massive fiscal stimulus, has been tried many times before. Another, stepped up quantitative easing by the Bank of Japan in a bid to eradicate deflation, monetizes Japan’s gargantuan public debt and provides massive liquidity, little of which finds its way into productive investment. The third arrow – structural reform – is the most important, but here Abe has been hesitant. 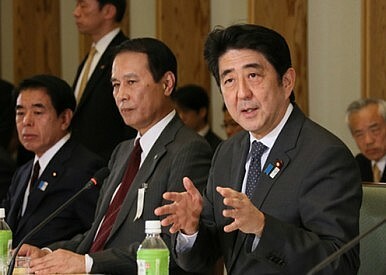 The heavy lifting for his two most complicated initiatives – the Trans-Pacific Partnership and the consumption tax hike – was actually done by his forgotten predecessor, Yoshihiko Noda. Abe did talk the yen down, benefiting exporters but not many others. Beyond that, Abe brings good intentions and not much else. Little useful has been said about the issue that is the root of Japan’s economic problems: its disastrous demographics. Still, it’s been a positive year by Japan’s standards; it even won the right to bring the Olympics back to Tokyo. Markets, and voters, will be expecting more in 2014. Three prime ministers in one year. 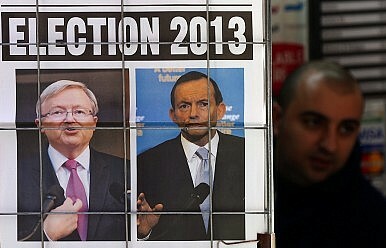 For Australia’s normally sedate federal politics, that’s quite unprecedented. After two aborted attempts and the massive manipulation of friendly reporters, Kevin Rudd finally got his revenge by ousting Julia Gillard, Australia’s first female prime minister and the woman who had replaced Rudd in a ruthless 2010 coup. Actually, it was Gillard’s unpopularity with the electorate and her Labor Party’s looming oblivion that did the job. Rudd’s return proved to be short lived. Several months later the center-right Liberal-National Party Coalition under Tony Abbott, a man too conservative for much of his own party, won a thumping victory, ending numerous once-promising Labor careers. For Labor, the last six years will be seen as a largely squandered opportunity. Abbott, meanwhile, must be wondering at the nature of this chalice he’s won. Slowing growth and a troublesome budget deficit leaves him with some tough choices in 2014. He’ll also need to improve on his clumsy foreign policy performance in recent months, especially with Australia’s most important neighbor, Indonesia. The strides made in 2013 towards reducing regional barriers to free-trade remained relatively modest, with the Trans-Pacific Partnership (TPP) and the Regional Comprehensive Economic Partnership (RCEP) each making modest progress. The TPP encountered considerable Congressional backlash in the United States, soon after a government shutdown in the U.S. prevented President Obama’s trip to Asia in the fall, where he would have reiterated the need to negotiate the TPP on schedule. He is expected to broach the issue when he heads to Asia in April 2014. RCEP is on schedule for a 2015 deadline, and with India’s decision to join, could be transformative for trade in the APAC region. The biggest trade news in 2013 was the global WTO “Bali Package,” the first global trade agreement of its kind, with huge implications for Asia where developing countries like India saw their trade agendas succeed on an international level. The “Bali Package” could add $1 trillion to world trade, mostly by reducing the costs of trade by between 10 and 15 percent. For Pakistan, 2013 was a year of major transition. The landmark moment was Nawaz Sharif’s election earlier in the year, which marked the first successful transfer of power from one civilian government to another in the nuclear-armed South Asian giant. The remainder of the transitions came later in the year: General Ashfaq Parvez Kayani, Pakistan’s Chief of Army Staff and a long-time headache for the United States, retired, raising General Raheel Sharif to the post; Pakistan’s controversial Chief Justice Iftikhar Chaudhry, who weathered the Musharraf era and Pakistan’s transition into civilian government, retired as well after holding the longest ever term as Chief Justice of Pakistan. Lieutenant General Khalid Kidwai, the guardian of Pakistan’s strategic nuclear weapons program retired as well. These changes in Pakistan will alter its relationship with the U.S. and its prospects for peace with India in 2014 – the latter looks more promising after a rare meeting between top Indian and Pakistan military officials. Bangladesh topped headlines early in 2013 in the wake of the tragic Savar factory collapse which launched a global debate about labor regulations in developing countries. 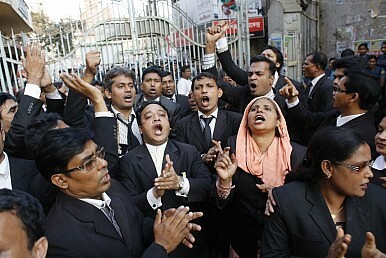 The governance deficit symptomized by the Savar collapse took a back seat to the national political crisis that began with the Bangladesh International Crimes Tribunal decision to sentence Abdul Quader Mollah, leader of the opposition Jamaat-e-Islami party to life in prison for crimes committed during Bangladesh’s war of independence from Pakistan. After a year of protests in Dhaka and around the country, judges capitulated to popular demand and sentenced Mollah to death – he was executed in mid-December. The Mollah debacle polarized Bangladeshi society and ignited an impassioned debate on Bangladeshi national identity, human rights, the role of political Islam in the country, and its partisan politics. Never one to disappoint, the Hermit Kingdom continued to perplex international community and its neighbors in 2013. Pyongyang conducted its third nuclear test in February, leading into a major crisis on the Korean peninsula. Technical speculation about the status of the North’s missile and nuclear programs continued – experts debated its trajectory to a uranium bomb, the resumption of operations at Yongbyon, and progress on its “satellite launch” sites continued. The December purge and execution of Jang Song-thaek and his associates ended the DPRK’s 2013 on an ominous note, signaling Kim Jong-un’s continued consolidation of power and his personality cult. The effects of Jang’s execution on China-North Korea relations remain to be seen. Two years after Kim Jong-il’s death, Kim Jong-un has effectively dashed hopes that he could have been a reformer, capable of opening the oppressive Hermit Kingdom to the outside world. 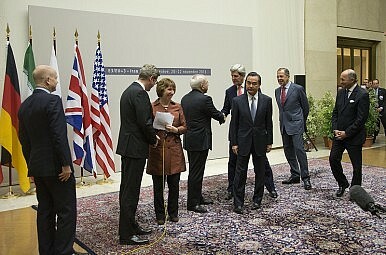 We Have A Deal: A Breakthrough With Iran? Iran experienced significant changes both domestically and in its foreign policy in 2013. Under increasingly biting U.S. and EU sanctions, Iranians went to the polls in June and elected the moderate Hassan Rouhani as president. Rouhani skillfully exploited his electoral victory to break the impasse with the West over Tehran’s nuclear program. This began in earnest with Rouhani’s trip to the UN General Assembly in September, which produced the first direct contact between Iranian and American presidents since before the 1979 Revolution. It culminated in the signing of a P5+1-Iranian interim deal in November in which Tehran agreed to halt and slightly rollback its nuclear program in exchange for limited sanctions relief. Next year will prove a crucial year for Iran’s nuclear diplomacy as Tehran and the P5+1 seek to reach a comprehensive final agreement. With Rouhani having the clear backing of Supreme Leader Ayatollah Ali Khamenei, the biggest impediment to such a deal appears to be the U.S. Congress and American allies. Former National Security Agency contractor Edward Snowden was everywhere in 2013, with Foreign Policy naming him its person of the year and Time magazine giving him its runner-up spot. It’s difficult to recall, but Snowden’s public journey began in Hong Kong where he first took refugee before traveling to Russia. 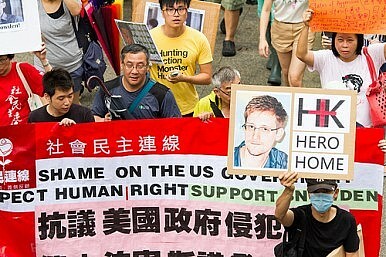 While in Hong Kong, Snowden gave a number of interviews to South China Morning Post, during which he disclosed U.S. spying operations inside China. Even before his identity was known, the initial stories from his leaks undercut President Obama’s efforts to pressure Xi Jinping on China’s cyber espionage activities during their Sunnylands summit. Although the Snowden leaks did not impact U.S. alliances in Asia nearly as much as in Europe and Latin America, they hardly went unnoticed. Still, the most serious rupture in Asia caused by Snowden was between Australia and Indonesia. In 2013, cyber-disputes burst onto the scene in a huge way. 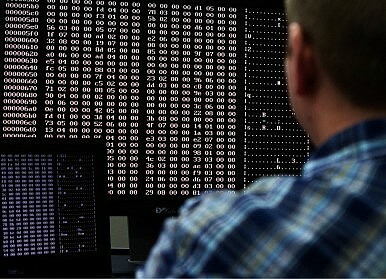 In February, the U.S. computer security firm Mandiant released a report revealing the extensive hacking activities of a Shanghai-based group of hackers believed to be affiliated with the PLA. Meanwhile, media outlets like the New York Times and the Washington Post have also begun to go public with reports of alleged Chinese hacking. As a result of the increased attention, the Obama administration has made combating cyber-intrusions a key point of its diplomacy with China. 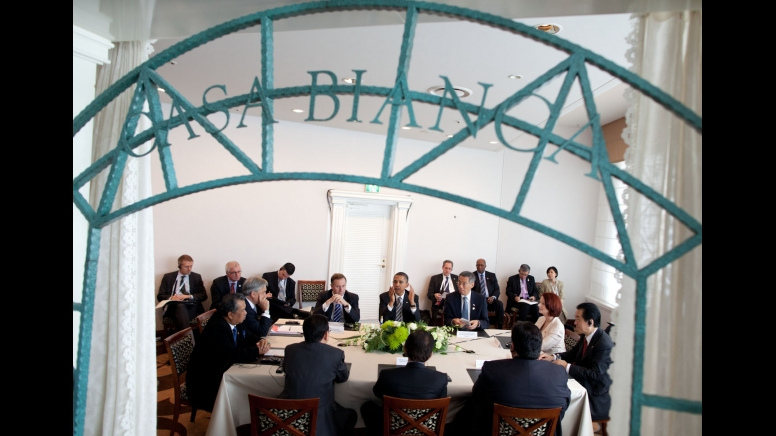 Obama raised the issue publicly during his high-profile short-sleeves summit with Xi Jinping in California. However, in the wake of Edward Snowden’s revelations about U.S. cyber espionage, some commentators are wondering if the U.S. and China are actually all that different when it comes to cyber intrusions.